Halloween is a fun time of year and when you get together either with your family on the weekend around Halloween to play games, why not serve a healthy snack using the seeds from the pumpkins you probably carved? I remember my mom roasting the pumpkin seeds when I was a kid…what I didn’t know is how much of a pain it is to clean those things off in order to roast them. But it’s worth it. They taste so good roasted. And they’re a relatively non-messy snack for the game table! Plus, you can do flavored variations of them…even ones that use alcohol, like whiskey for a nice adult night with pumpkin seeds! 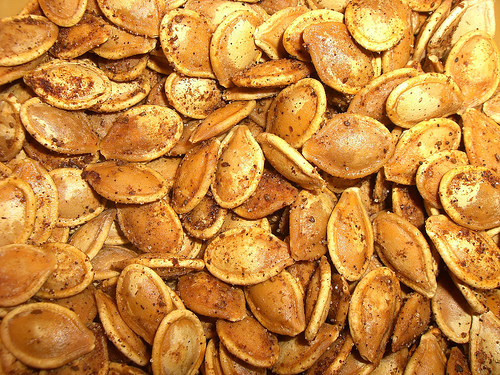 And, as usual, if you roast some pumpkin seeds…we’d love se see pictures of you serving them at game night! Post pics on social media and tag us!